Life is pretty good in my bubble. I quite like it. Everyone I surround myself with thinks roughly the same way that I do. Dinner party conversations rarely get heated, as we all mostly agree on most things. What's more, my news sources - such as the Globe and Mail, The New York Times, the CBC - line up with my opinions and provide me with the research and investigative journalism that support them. My Facebook friends share articles, with associated witty comments, that are in line with what I believe. And the journalists who I follow on Twitter are brilliant. They manage to deliver clever points in very few characters and never back down from putting the trolls in their place - so satisfying. The problem with this picture is that I was way off on predicting the U.S. election results. Never in a million years did I think that Trump would actually get elected. I didn't seriously entertain the thought that a political neophyte who also happens to be a racist, sexist, narcissistic (in the clinical sense) bully would win out over common sense, human decency and democracy. My obsession with U.S. election news began months ago and continues unabated, especially in light of the outrageous racist hawks Trump appointed to his cabinet last week. I am honestly trying to understand how and why our southern neighbours willingly decided to turn the clocks of progress back 50 years. I'm also at a loss to fathom why over 50% of women voted for Trump, why many minorities voted for Trump, and why more people aren't demanding Trump release his tax returns and rectify outrageous conflicts of interest. Seeking solace, I turn once again to my friends and familiar news sources who share in my shock and outrage. And my bubble cycle continues. 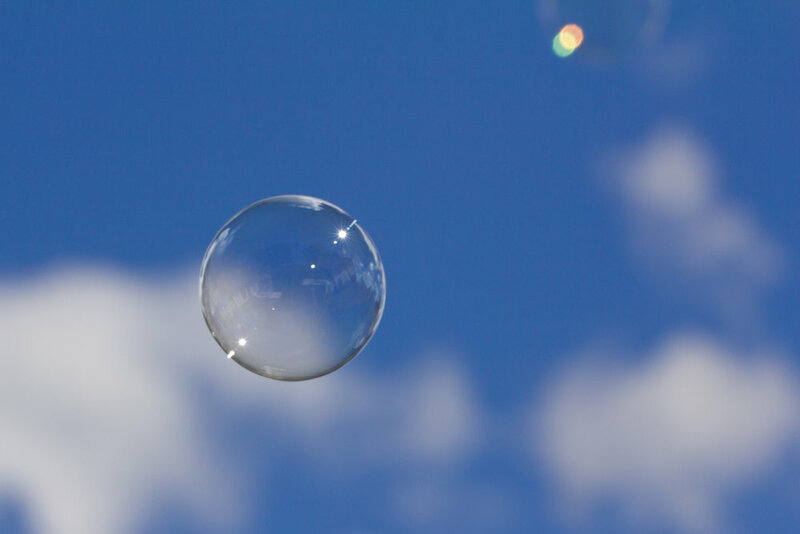 There have been some great articles written about the bubble phenomenon lately. This one is excellent: Your filter bubble is destroying democracy. Also worth your time are: Facebook’s fake-news problem: How can anyone agree on the truth any more? and the TED Talk Beware online "filter bubbles". For a humourous take on this trend, take a look at SNL ‘Bubble’ skit about liberals in denial over Trump was perfect. I now understand the bubble issue, and I know what I need to do. Among other things, my list includes: 1. Add Donald Trump and other alt-righters to my Twitter feed 2. Tune into Fox News 3. Read Breitbart News. But for some reason I just can't bring myself to plug my nose and venture to the Dark Side. I'm not sure my stomach can handle it. So, I put forth a plea to credible journalists and academics: Please investigate, monitor and expose what's going on over there in the darkness. Please do it for the team, for the world. It's such important and necessary work, and I support you 100%. Please be brave. I - and many like me - am just not ready to burst my bubble yet.